IF YOU'RE taking cash out at the convenience store or at the pub, chances are you're still going to have to pay the $2 fee. On Sunday, a surprise announcement by Commonwealth Bank that it was abolishing fees for customers of other banks to use its network forced NAB, ANZ and Westpac to quickly follow suit. All up, fees will be abolished at 3400 CommBank machines, 2300 ANZ machines, 2925 Westpac machines and 1300 NAB machines, although customers using overseas cards will still incur fees. The fee waivers have already come into effect at CommBank but the other banks won't follow suit until next month. Since the announcement, CommBank has seen a 24 per cent increase in non-customers using its machines. The move was welcomed by consumer advocates as long overdue - Australians spend an estimated $500 million a year on the hated ATM withdrawal fee - but there is a catch, at least for CommBank and NAB. While CommBank's network will have fees abolished, CommBank subsidiary Bankwest has been exempted. Bankwest has 830 ATMs, about 650 of which are in 7-Eleven stores, according to The Australian, which reports the 7-Eleven machines are among the network's most profitable. And while NAB's announcement covered its 1500 machines, a further 3100 NAB-branded rediATMs - located in pubs, clubs and convenience stores - will continue to charge fees. The rediATM machines are owned and operated by payments provider Cuscal, which last month came under fire after a processing error caused Woolworths customers to be double billed for purchases made in March. On Monday, Australian Bankers' Association chief executive Anna Bligh insisted the hit to the banks' bottom lines - $500 million a year is about 1.7 per cent of their combined $29.65 billion profit last financial year - would not be passed on to consumers. "Customers can look at their own statements and see whether any other fees have been increased," Ms Bligh told Sky News. "But banks have made it clear that that's not what they're going to do, that they will take this as a cost of keeping their customers, and getting the best opportunity to win more customers." Federal Treasurer Scott Morrison applauded the move. "I will always welcome positive initiatives from banks that put customers first, and this is one of them," Mr Morrison said on Sunday, adding that the move came following pressure from government. 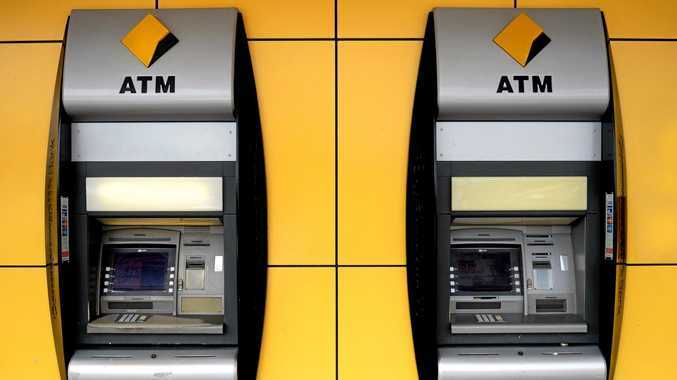 "Australians have complained for some time about being charged fees for using another bank's ATM," CommBank group executive retail banking services Matt Comyn said on Sunday. "We have been listening to consumer groups and our customers and understand that there's a need to make changes that benefit all Australians, no matter who they bank with. This is one of the steps we're taking to make that happen. "As Australia's largest bank, with one of the largest branch and ATM networks, we think this change will benefit many Australians and hopefully demonstrate our willingness to listen and act on customer feedback." Andrew Hagger, NAB's chief customer officer of consumer banking and wealth, said the bank was committed to listening to its customers and responding to their concerns. "We're pleased to now extend this so that all Australians, regardless of whether they bank with NAB or not, can use any of our ATMs and not be charged a cash withdrawal fee," he said. "This is a good outcome for customers. We know it has been frustrating for them to be charged to withdraw their own money from an ATM, and the change we are announcing today will benefit millions of Australians. "At NAB, we're proud of our track record of making banking fairer over many years, and we will always look at how we can improve the experience and services we provide customers." ANZ group executive Fred Ohlsson said the bank had been decided to remove all ATM fees from October. "We know ATM fees are one of the most unpopular and while our customers have benefited from our network of ATMs across the country, this is another example of acting on customer feedback as well as genuine reform from the industry," he said. George Frazis, consumer group executive at Westpac, said the bank wanted all Australians to benefit from Westpac's ATM network, which includes St. George, Bank of Melbourne and BankSA, whether they were customers or not. "This will make it more convenient for millions of Australians to conveniently obtain cash, with no additional fees. It will particularly assist Australians in rural and regional areas," he said. "We understand that the 'foreign ATM' fee has been deeply unpopular with consumers. Along with our new low interest credit card as well as removing teller sales incentives, Westpac is listening and responding to consumer concerns." On Sunday, consumer group Choice said the decision could trigger the death of the ATM fee. "Accessing your money from a bank account is an essential service that should be free for everyone, rather than an inconvenience with a penalty attached,'' spokesman Tom Godfrey said.